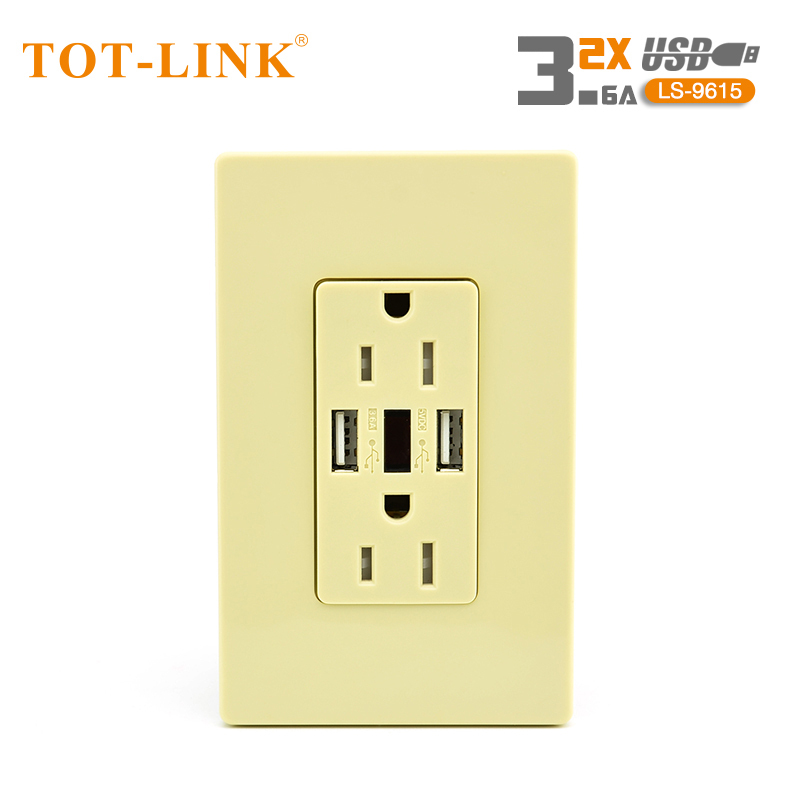 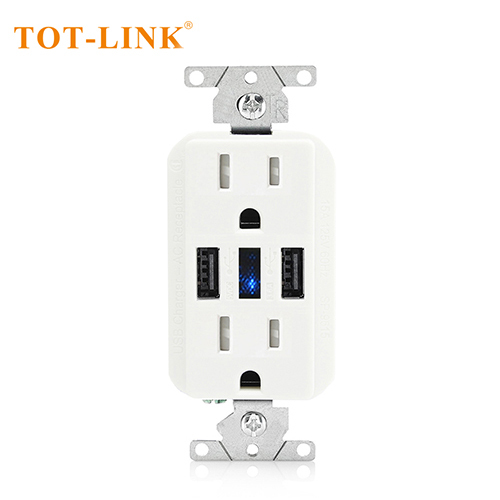 3.6 AMP Dual USB Charger Outlets, outlet with usb, 15A 125VAC Tamper Resistant Outlets wall socket with usb. 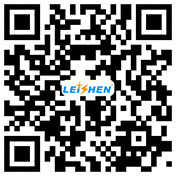 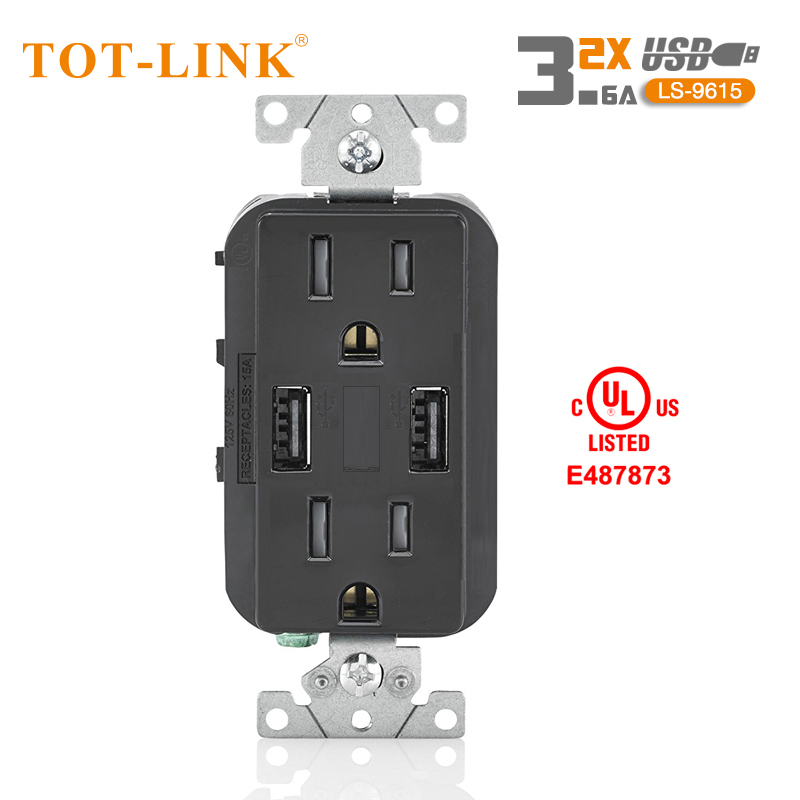 The output of 3.6AMP in total is shared between two usb ports ,The built-in smart chip can be 3.6AMP intelligent, fast, assigned to the two usb ports. 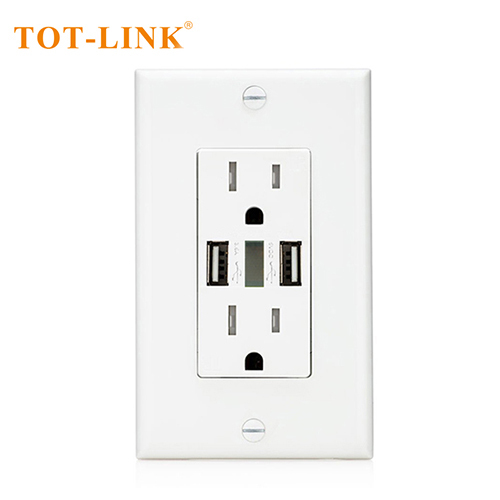 There are also Receptacle Rating: 20A 125VAC, 60Hz output. 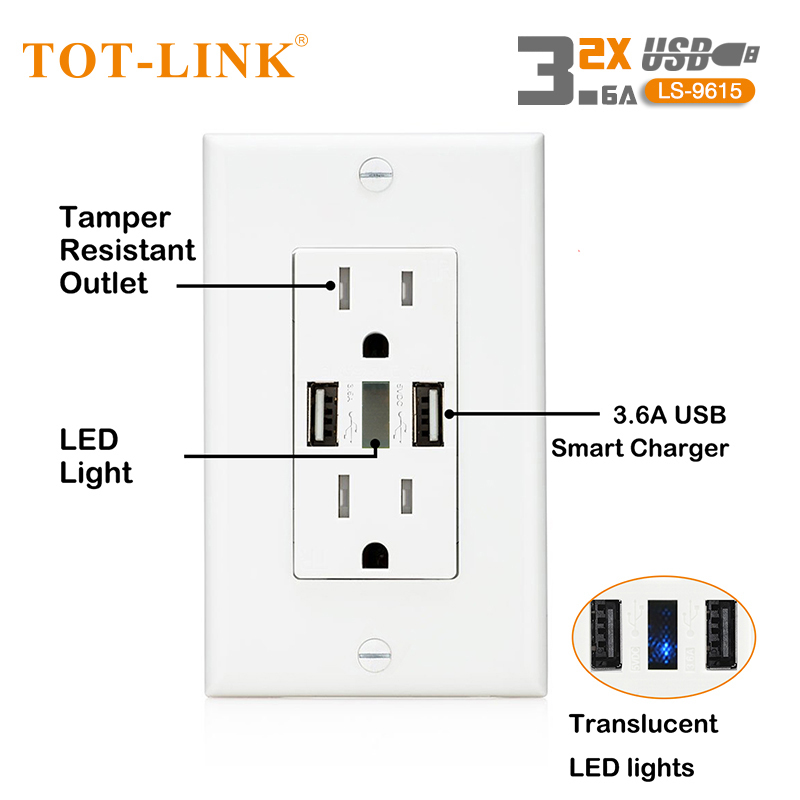 LED lights: When the usb outlets work, the LED light will always keep a blue light. 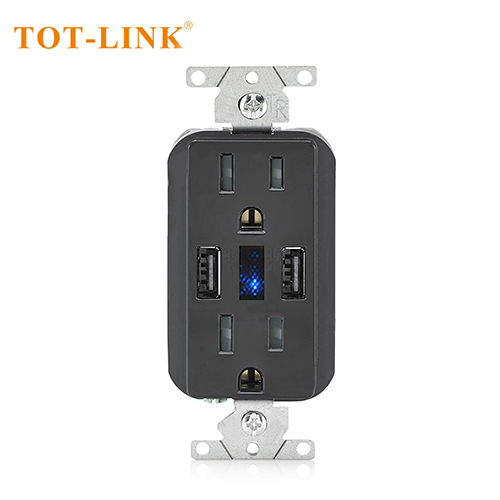 On the contrary, when the usb outlets doesn’t work properly, the status of the LED light is off. 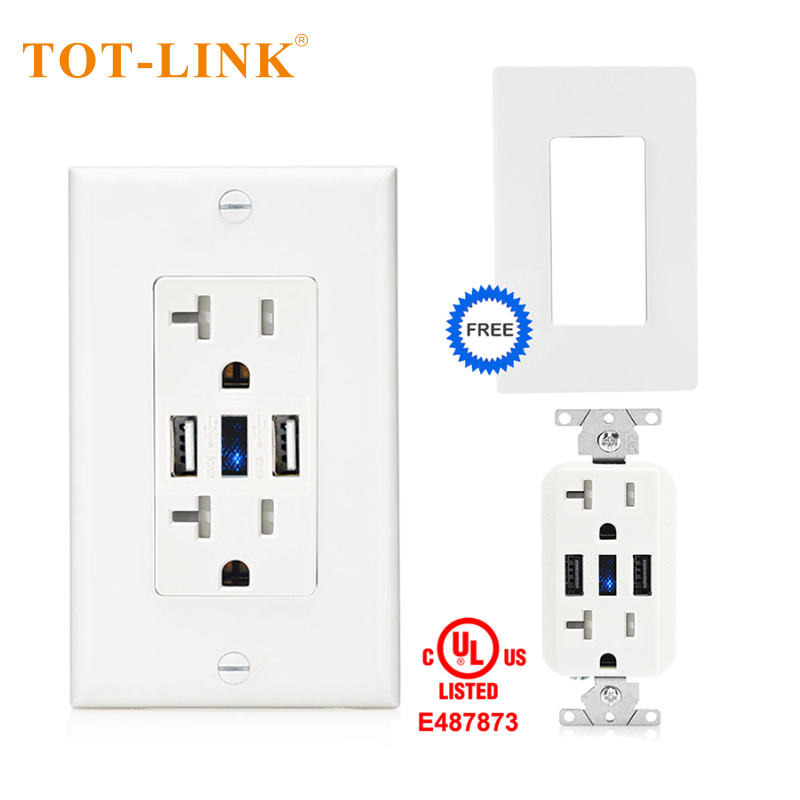 Output automatic protection: When the output is greater than 3.6AMP, the outlet will automatically stop working. 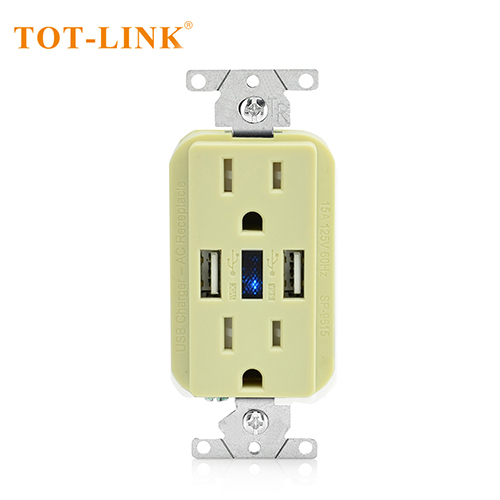 Unplug it first, and then reinsert it again to allow the outlet to resume operation.